1.1 The Client – means the person or organization who buys or agrees to buy services from the company. 1.2 The company is BMS SEO SERVICES a division of BUSINESS MARKETING SERVICES LIMITED..
1.4 Services – means the internet services which the client agrees to buy from the company. The terms and conditions set out herein shall apply to all contracts for the sale of services by the company to the client with the exclusion, which placed by the client and confirmed accepted by the company. No other terms and conditions shall be binding upon the parties, and this contract embodies the entire understanding of the parties and there are no promises, terms, conditions, obligations, oral or written, expressed or implied, other than those contained herein, or confirmed in writing by the company and attached here-to. 2.1 These conditions shall apply to all contracts for the sale of services by the company to the Client with the exclusion of all other terms and conditions including any terms or conditions which the client may purport to apply under any purchase order, confirmation of order or similar document. 2.2 The company reserves the right to alter, add and subtract from these terms and conditions at any time. The Terms and Conditions are available to view online at www.bmsmarketingltd.co.uk these Terms and Conditions replace any previously agreed and It is the responsibility of the client to make themselves aware of what these are. 2.5 Signing of the contract order form, receipt of an email to proceed, or pressing submit on an online order form shall be deemed conclusive evidence of the Clients acceptance of these terms and conditions. 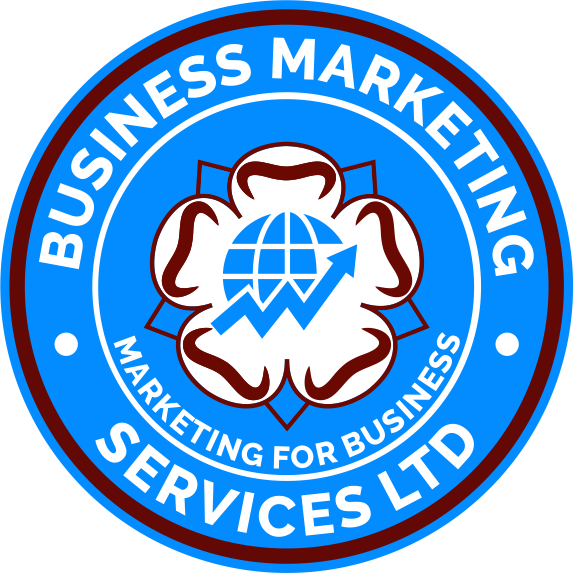 2.6 The Clients website URL may require to be linked via the BUSINESS MARKETING SERVICES Limited URL. This is purely to aid the functionality of your service, please notify us by writing if you do not require the link to be present on your website. 2.7a FTP (File Transfer Protocol) is the method by which files are downloaded or uploaded to the internet. Your website’s FTP host name, username and password are provided by the company hosting your website and are required the company. Work may not commence until the company receive the correct FTP details for the website URL. 2.7b Should FTP access be unattainable the company would require a copy of your website’s files and any databases that the website requires to run to be sent to the company at its postal address at that time via a form of suitable media. 3.1 The total price shall be the price set out on the order and/or pro-forma invoice. The price is exclusive of VAT which shall be due at the rate ruling on the date of the company’s pro-forma invoice. 4.1The full amount of the cost of the order is payable on the signing here-of. 4.2 If payment of the contract price is unpaid for after 30 days of the due invoice date, the full amount shall immediately become due and payable, the company reserves the right to charge interest at current Barclays Bank rate on any outstanding balances overdue for payment. 4.3 The right to add to the overdue account the costs incurred by employing an agency or solicitors in recovering that overdue account. On any account not paid within our terms of trading we reserve the right to add to the account any costs incurred by us in instructing an agent or solicitor to act on our behalf in the recovery of the account. 4.4 All payments becoming due and payable are to be made to the principle place of business of the company, save in the case of standing orders paid directly to the company’s bank as detailed on the standing order form. 4.5 Where agreed with the company, payment may be made on a monthly basis over 6/12 months depending on spend. Under such circumstances, an initial deposit payment of 20 per cent is required, and the remainder of the fee will be paid during the contract period by standing order, the monthly amount will be set at the time of order. 4.6 Where the deposit is not returned 21 days after the order the client will be liable for the full invoice with the invoice due 9 days later. 4.7 Where the standing order mandate is not returned 21 days after the order the client will be liable for the full invoice with the invoice due 9 days later. 4.8 Failure to pay the monthly subscription fee will result in an administration charge of £25.00 +VAT charge for each late/missed payment. If you fail to complete, more than 2 consecutive payments the company is entitled to initiate court proceedings to recover the remaining funds owed to the company until the end of the 12 months. 5.1 The quantity and the description of the services shall be as set out in the Contract Order form and pro-forma invoice. 5.2 The company require that, prior notice be given for any alterations relating to your website(s) that may affect the services supplied by the company. If alterations are made by the client or a third party to a client’s site, search engine placements may be affected and the company can not be held responsible. The company reserve the right to issue a charge to rectify any problems to regain listings. 5.3 During the search engine optimisation process, unless agreed otherwise, the company will only carry out validation to the W3C standards on the homepage of the clients website where possible. Certain restrictions with third party design platforms can affect this process meaning the company may not be able to fully validate the homepage. If the client requires the company to validate the entire website the client will need to speak to a company representative and create a new order for this work. 5.4 Where the Seo services includes an Online Press release service it is entirely the clients responsibility to send us material for this use. We will call you at set intervals to obtain the information but if this is not sent we are unable to write a press release on your behalf as this has to be relative to your business and anything we out put into the public domain needs your prior consent. Once we receive material, the proposed press release will be sent back and reformatted for approval which we require via email. Once approved we will start the submissions process and these will be completed within 28 days. A full report will be given via xl spreadsheet. 5.5 Where the Seo service includes Directory submissions we will send the proposed Directory submissions information over to you for approval. Please note we are unable to start this process without your approval via email. A full report will be given via xl spreadsheet. 5.6 Where the Seo service includes the use of a domain name owned and registered by BMS. BMS reserve the right on renewal date to use that domain name for any other prospective client. Occasions where we would look to do this are ones where there have been payment issues, the client does not wish to renew, or is unwilling to pay the price quoted on renewal. 6.1 The Company warrants that the services will at the time of delivery correspond to the description given by the Company, either verbally or by means order forms, invoices etc. 6.2 The Company shall not be liable for any loss or damage (including but not limited to consequential loss or damage) arising from the use of the services. 6.3 If during the SEO contract period between the company and the client, the client uses a third party (other than the company) for search engine optimisation and / or associated workings, the company can not be held responsible for any consequential loss of listings or associated damages that may arise. 6.4 By signing the contract order form or making the initial set up fee payment, the client and The Company shall both be bound these the Terms and Conditions of which are displayed on the companys web site. 6.5 Time scales for first page listings are estimates and unique to each client and dependant on a number of elements, including: the clients website that the company is optimising; being registered within the search engines; the generic level of the clients ordered search terms; how established the clients website is. NO guarantees are offered by the company. 6.6 The Company operates within the major search engines in the UK and worldwide. Listings will appear on either .co.uk or .com engines dependant on the current sites status. 6.6 Visible listings are defined as an overall increase in ranking across the major search engines when compared to the initial ranking report carried out prior to work commencing. 6.8 After the initial 12 months contract, the best way to ensure that you maintain and or improve your rankings, is to renew your SEO contract with BMS. New sites and potentially your competitor web sites are being optimised every day, the best way to ensure that you maintain your rankings, is to maintain and or increase your online Marketing / Seo with BMS. 7.1 Cancellation of this agreement will only be accepted within 7 days of signing the contract. The cancellation will be accepted in writing sent by recorded delivery only. 7.2 The client hereby agrees that this contract cannot be cancelled and in the event of a closure, change of company name, change from a limited company to non-limited company status, change of a non-limited business to a limited company, change of ownership, change of location or change in style or nature of the business this agreement shall still continue and all liabilities hereunder shall accrue to the advertiser. 7.3 The client hereby agrees that upon renewal date after the 12 months agreement cancellation of the services must be made in writing either via email or recorded letter. This must be done by a company director not a third party agent acting on behalf of the company. A copy of the email receipt confirmation must be held by the client as proof that cancelation was made. BMS requires 28 days notice before renewal date meaning services will be provided for and are payable for up until such notice arrives. 7.4 The client hereby agrees that in the event of the disposal of the business the agreement shall continue and the client will endeavour to pass on the terms, obligations and liabilities to any purchaser or successor in the title, in the event the client does not procure such agreement, the liabilities under this agreement shall continue to accrue to the client. 8.1 The Company is under no obligation whatsoever to refund the clients Deposit unless Cancelation is received in writing and sent by recorded delivery, within 7 days of signing the contract. 9.1 Programming work carried out on your site(s) shall remain the property of the Company until payment thereof has been received in full by the Company and is not subject to any form of recovery or cancellation by way of charge back or otherwise. All services provided to the client or their agent or person acting on behalf of the client, may be removed from the clients website by the Company at any time after the due date of payment has passed and the payment has not been received in full or if payment has been received in full, has been made subject to a Charge back, any costs incurred by the company by means of directory submissions and links will also be recovered. 9.2 If you do not renew your 12 month subscription to the services provided by the company, you must remove all references to BMS MARKETING SERVICES Ltd. on the viewable page and within the source code, this must be removed within 14 days from the renewal date. 9.3 It is always the policy of the Company to develop and improve its services. The Company, therefore, reserves the right to make any improvements to the designs and specifications of the services. 9.4 Nothing in this Agreement shall confer, nor do the parties intend it to confer, any enforceable right on any third party and the Contracts (Rights of Third Parties) Act 1999 shall not apply. 9.5 This Contract shall be governed by the Laws of England and the parties submit to the exclusive jurisdiction of the English Courts in relation to any dispute hereunder. 9.6 The start date of the contract held between the client and the company is when the order form is signed by the client.